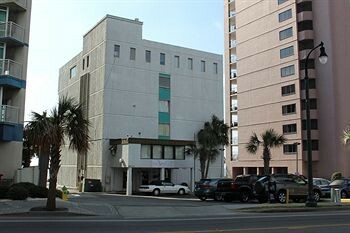 Property Location The Waves Hotel at Myrtle Beach is centrally located in Myrtle Beach, walking distance from The Children&apos;s Museum of South Carolina and close to Captain Hook&apos;s Adventure Golf. This hotel is within close proximity of Chapin Memorial Park and SkyWheel Myrtle Beach.Rooms Make yourself at home in one of the 23 air-conditioned guestrooms. Rooms have private balconies. Complimentary wireless Internet access is available to keep you connected. Bathrooms have shower/tub combinations and complimentary toiletries.Rec, Spa, Premium Amenities Enjoy the recreation opportunities such as a seasonal outdoor pool or make use of other amenities including complimentary wireless Internet access.Business, Other Amenities The front desk is staffed during limited hours.